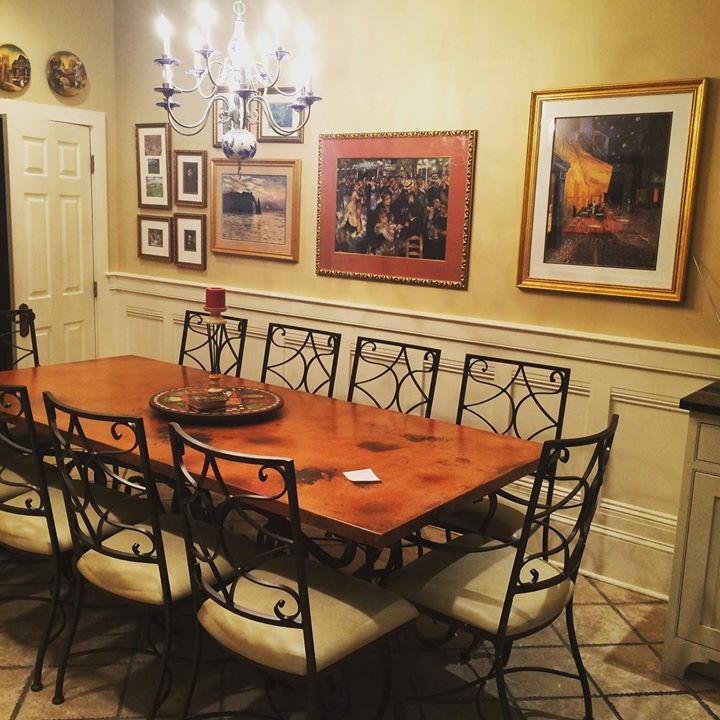 We love receiving and sharing photos of how are our customers are creating beautiful spaces with our iron furnishings! Here our customer shared with us their dining room furnished with the Alexander Dining Table with Copper Top and Camino Dining Chairs..Absolutely stunning! 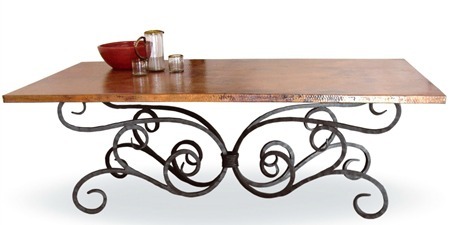 With a striking hammered copper top and decoratively scrolled iron base, this impressive old world style dining table brings eye-catching function to the dining room. The top is made of recycled copper sheeting with hand-hammered finish and is wrapped around a solid wood core. The hammering techniques are consistently shallow providing a smooth surface with dimensional appearance. The Alexander range offers a myriad of size, shape and finish options to fit your dining space. 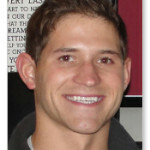 Click here to shop for Alexander table. 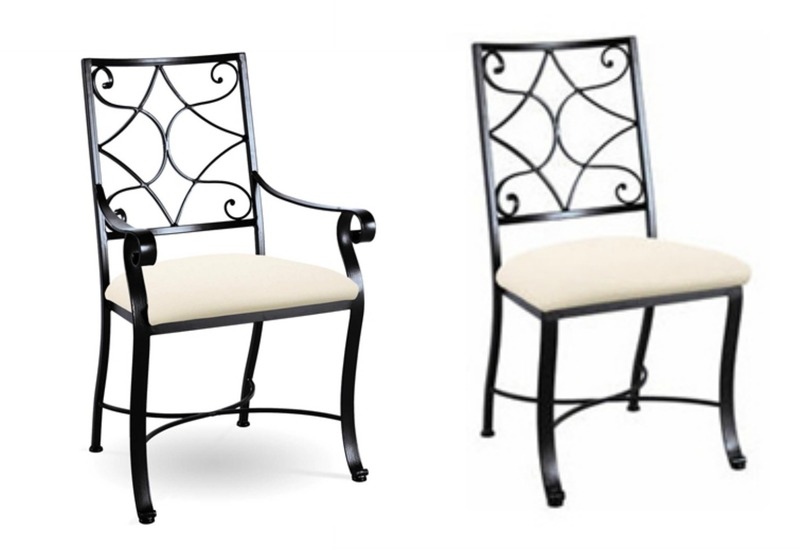 An elegant scrolled-pattern embellishes this beautifully hand-forged dining armchair and side chair duo. In addition to being aesthetically pleasing, the Camino Scroll Dining Chair provides comfort-minded, sturdy support for spending hours with friends and family around the dining table. The chairs feature a curved back and gently curving legs with half circle stretchers. A firm yet comfortable seat is padded then upholstered in standard and premium fabric and leather choices. Click here to shop Camino dining chairs.